Soybean plants in a field in Virginia. Farmers who have yet to apply for government aid in response to China's retaliatory tariffs on soybeans will have to wait for the government to reopen in order to do so. The ground in farm country might be snow-covered and frozen cement-hard, but this is a critical time for farmers. It’s the time when many sign up for loans to help them with the new planting season, which usually starts in April, said Mark O’Neill, a spokesperson for the Pennsylvania Farm Bureau. This is also the period for buying risk-management policies. And if they wanted to sign up for the government’s recent $12 billion aid program to make up for revenue lost from the trade battle with China, now’s the time to do that, too. But the U.S. Department of Agriculture, which handles many of those operations, is closed because of the partial government shutdown. For farmers in New Jersey, Pennsylvania, and elsewhere, access to credit is becoming a cause for concern. Fortunately for farmers, there’s still time. The federal shutdown became the longest in history on Saturday. It hit particularly hard for the 800,000 federal workers who missed a paycheck on Friday, including thousands in Philly. And if it lasts months, like President Donald Trump said it might, it could become a growing problem — not long after the worst financial year for Pennsylvania farmers in decades. Still, it’s not “crunch time” yet, said John Harrell, who farms hogs, corn, soybeans, and barley on 300 acres in Lebanon County. “Eventually, if this goes on, somebody is going to be looking for a check that they won’t be getting," said Harrell, 44, referring to farmers who turn to the USDA’s Farm Service Agency for loans. On Monday, at the American Farm Bureau Federation’s annual convention, Trump thanked farmers for their support during the shutdown. The shutdown has tested farmers' support for Trump, with some growing weary of the president’s impact on their industry, while others say the border wall must be built regardless of the collateral damage. Farmers in places like Virginia and Georgia say they’re already feeling the pinch, according to reports from the Washington Post and the New York Times. They’ve been unable to get loans processed; they needed that government aid check. Peter Furey, president of the New Jersey Farm Bureau, said farmers' inability to access loans — whether through the Farm Service Agency or community banks, where farmers rely on loan guarantees from the USDA — has started to become an issue. Luckily, the USDA’s Natural Resources Conservation Service, which makes small grants to farmers, is funded until the end of the month, and that has offset some of the problems, he said. Private insurance providers can sell coverage to farmers, but they work with the USDA’s Risk Management Agency to put together policies based on statistical and historical information, O’Neill said. Many also rely on the USDA’s bimonthly crop reports, which act as a road map for the coming season. The shutdown comes months after the trade fight with China crushed soybean farmers' business, and Trump responded by offering $12 billion in aid to farmers. 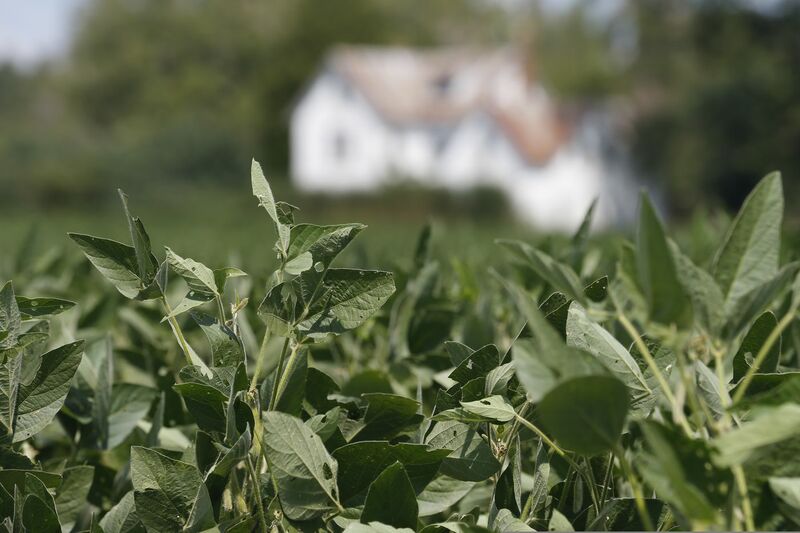 Pennsylvania’s soybean crop made up $259 million of the $41 billion production value of U.S.-grown soybeans in 2017, according to the USDA. During the summer, when the assistance program was announced, some local farmers, like Daryl Alger, who operates a 6,000-acre soybean farm in Lebanon County, said they didn’t want to get into the practice of accepting government “handouts.” Alger, for his part, said the shutdown has not affected him. About 1,300 Pennsylvanians received $2.4 million in federal subsidies as part of the program in September and October, according to the Environmental Working Group. Aid checks — $3 billion worth — have gone out since the shutdown, USDA spokesperson Tim Murtaugh told the Post, but farmers who were not able to certify their crop production must wait until the Farm Service Agency reopens. Because of this, the USDA has extended the deadline to apply for aid. It was previously Jan. 15.